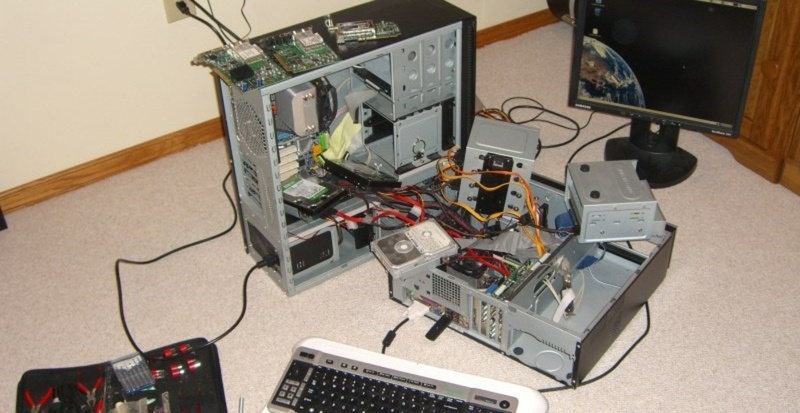 The Shut Up & Sit Down Supercomputer: Greetings, organic viewing entities. 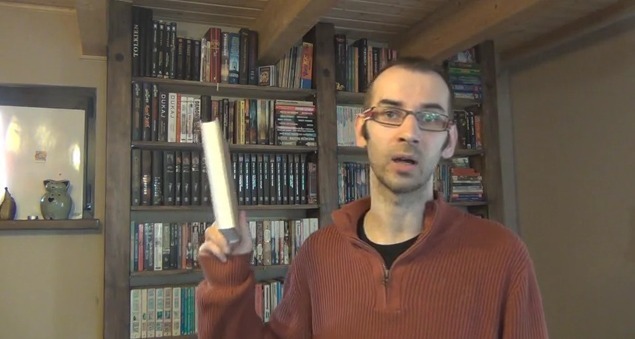 According to my calculations, your level of pleasure will see measurable increase if I transmit to you “Games News” written in the style of the late Quintin Smith and Paul Dean. Data analysis suggests their loss was a sad one. Projections suggest that, in time, they could be adequately replaced if we manufacture enough babies. In the meantime I shall accurately simulate their behaviours using precisely calculated projections. 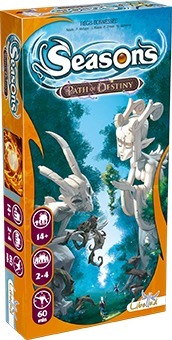 Paul: First on our babies news: Recently reviewed magical board game Seasons has a baby coming, in the form of the expansion Path of Destiny. This adds even more spell and familiar cards, but also a new destiny die which players can roll instead of one of the season dice. It looks promising and I await its delivery, crouched at the end of the board gaming birth canal, ready to hold it aloft as it wails into the light. It meets with my baby approval. Quinns: I, Quintin Smith, am also excited about a gaming baby. Another 7 Wonders expansion is on its way next year, in the form of Babel. Babel gives players the chance to engage in military and trade agreements between one another, but also to collectively build a Tower of Babel together. Players can each put down pieces of the tower, scoring victory points, but each section of the tower is inscribed with a binding law that might change how everyone plays the game. 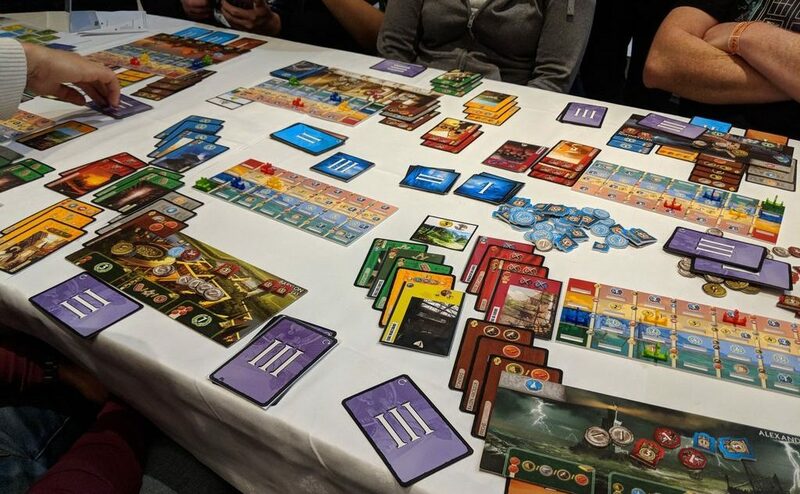 Paul, 7 Wonders and Seasons are quite similar, with players drafting cards and building a card tableau. Naturally, I will ask which is better! Quinns: Well said. But we can agree they are both fine games to buy. I would like to express my human delight at this news and declare myself 36% happier today. Paul: My, Quinns. That puts you another standard deviation from the mean. Quinns: Yes! Let us affectionately celebrate. Paul: Wait! I have detected more news. Cash’n’Guns is a game of negotiation where players point fake guns at one another’s heads. It’s meant to be good, but we’ve never reviewed it. Why is that, Quinns? Quinns: As humans, we must spend 8 hours a day unconscious, and also it would be disastrous if we did not make time to visit our toilets. Paul: Well said. 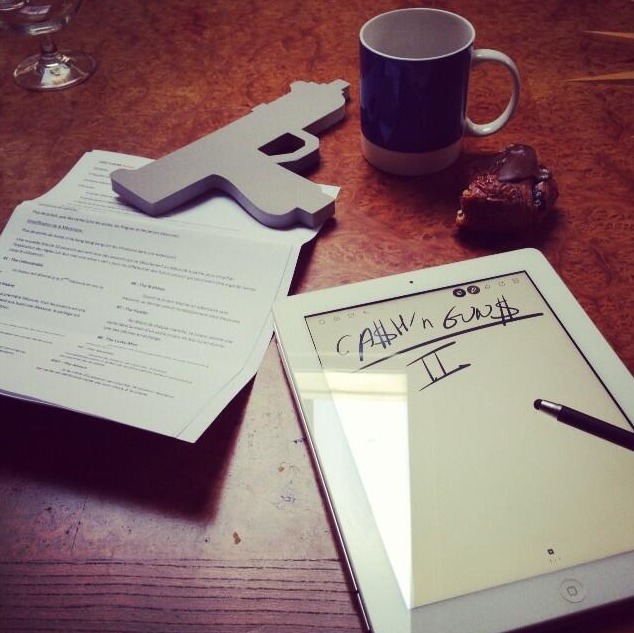 This week, Asmodee announced they were commencing the work of Cash’n’Guns 2. You coud say we “dodged a bullet” not yet reviewing this one! Quinns: What a joke! How do you come up with them. Paul: I invent them all. Next are two projects from Kickstarter for you to “kick start”, as you would a motorcycle! Albeit without any assurance that the motorcycle will not fall apart or explode. 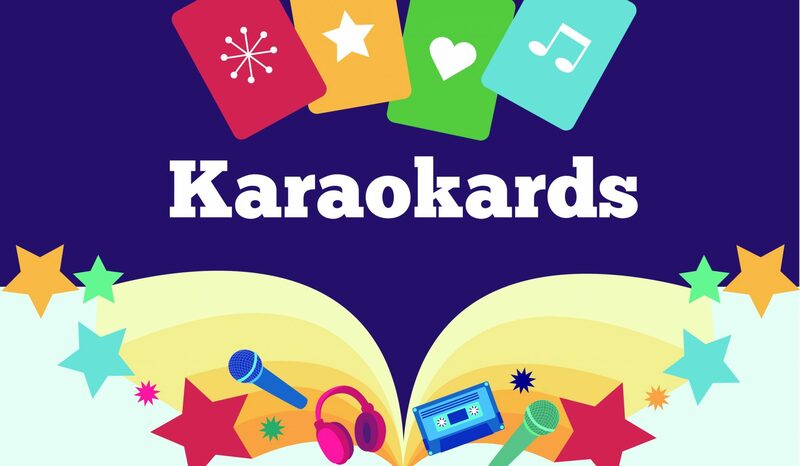 The first is Karaokards, “A card game for people who love music,” designed to improve your evening’s karaoke. Rather than karaoke being a directionless activity ruled by bellowing drunks, it offers a game. 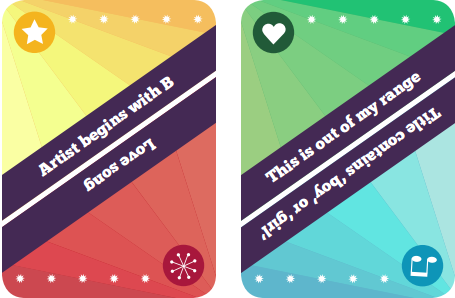 With Karaokards, players seek to amass points by playing the maximum cards from their hand when picking their song. Therefore, players sing unusual songs, and often sing together to maximise points. Then, when the draw deck runs out, the evening is over. Have you ever done a karaoke, Quinns. Paul: Many humans absorb information via the inefficient medium of the written word. 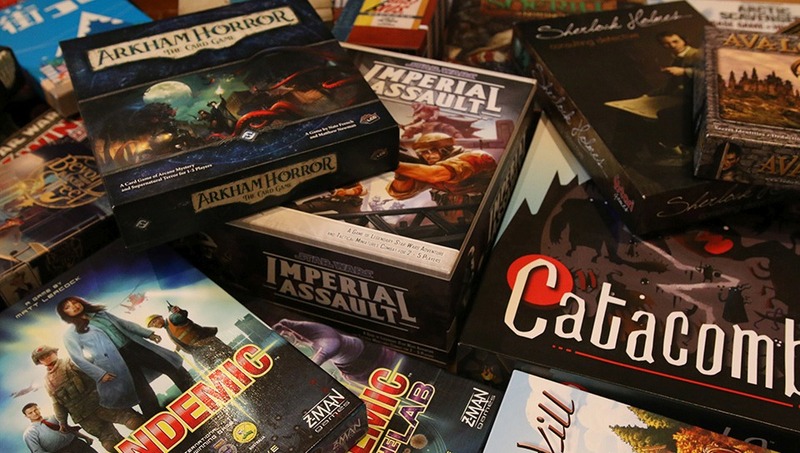 Still propagating this outmoded method of data transfer is designer Ignacy Trzewiczek, who is Kickstarting his book, Boardgames That Tell Stories. A collection of his thoughts, essays and experiences as a board game designer, Boardgames That Tell Stories is a book and we should scan it in and use optical character recognition to make it easier to index. Quinns: My agreement is at 100%! That is maximum agreement. 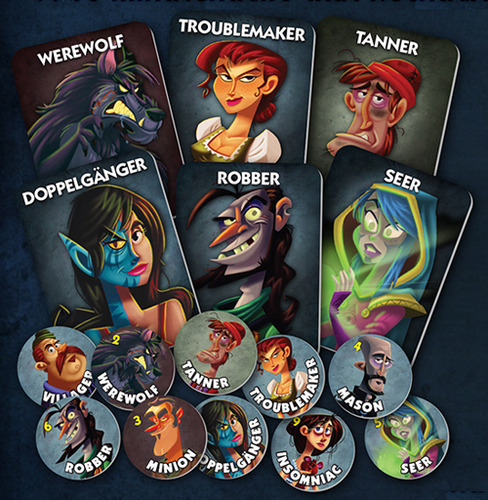 A final transmission: One Night Ultimate Werewolf is on its way from Bézier Games. You’ll have detected us talking about Werewolf before, a game of hidden roles where, every night, the Werewolf players conspire to kill and eat villagers without being identified and killed by those villagers during the daytime. It’s a game of distrust and deception. 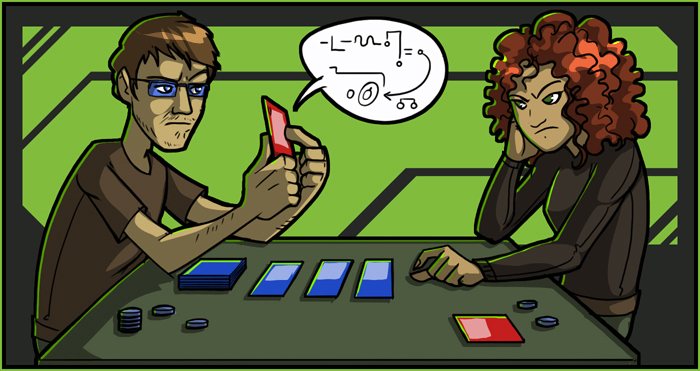 One Night Werewolf is a pared down version of the game where all the players have just one night to use their thinking meat to calculate who they can trust. It is limited in its roles and scope, so we express optimism that One Night Ultimate Werewolf will add additional roles and possibilities. Unlike many versions of Werewolf, it also does not require a moderator human to herd and control the other humans, should they become confused or prone to error, as humans often do with time and wear. However, it is at least good to know that old and failing humans can be replaced with new ones, via the medium of babies.